The Iron Horse is a massive steam-powered locomotive manned by a crew of warriors, miscreants, and genetic anomalies. Socrates, the train’s commander, is an autonomous steam-powered gorilla with memories and knowledge reaching back more than a thousand years. Their mission is to locate a new source of starfall, the rare element that powers the ancient city of Sanctuary. Their civilization needs starfall, but for Socrates the matter is personal. Without it, he will die. After a brief respite on the shores of the Forgotten Sea, the crew readies for their next great adventure. This time, the tracks will take them somewhere entirely different. The only way across the great sea is under it. But as the Iron Horse plunges into the icy waters, something goes wrong. The train has been sabotaged, and to make matters worse, their fuel supply has been stolen. Trapped at the bottom of the sea, faced with the choice between a slow death by suffocation or a fast one in the crushing black waters, Socrates makes a last ditch effort to save the crew. He believes there is a cavern ahead, if they can only make it that far… But even if they survive, the crew may face an even greater peril from a completely unexpected new enemy. US UK Also available at B&N, Kobo, iBooks, etc. If you can't find it in your territory, let me know and I'll try to get you a link. KtM picks up where Clockwork left off. It features Socrates, River, Micah, and other characters from the previous books, and you'll meet a few new characters along the way. There's plenty of action and maybe even a philosophical question or two to ponder. What more could you want? Now Available: He said, She said "Murder"
He said, She said "Murder" is the first book in a new mystery/detective series, and the first of several books I'm publishing in the upcoming weeks. I'm not pushing any big promos this time around, but I'm launching at a very affordable $0.99 and I'll be running at least one Goodreads giveaway (Edit: Link above). This book is now LIVE at Amazon. Over the next few days, it will go live at Apple, Kobo, etc. The paperback version should also be available by Wednesday. I've teased my upcoming books a few times this winter and I'm finally almost ready to hit the publish button. Unfortunately, with all the work I've been doing, I have hardly taken the time to blog, much less to give you an idea of what's actually coming. Today, I want to remedy that. I have a little something for my sci-fi steampunk readers as well as the mystery-thriller lovers. Both of these titles will be out by the end of the month. 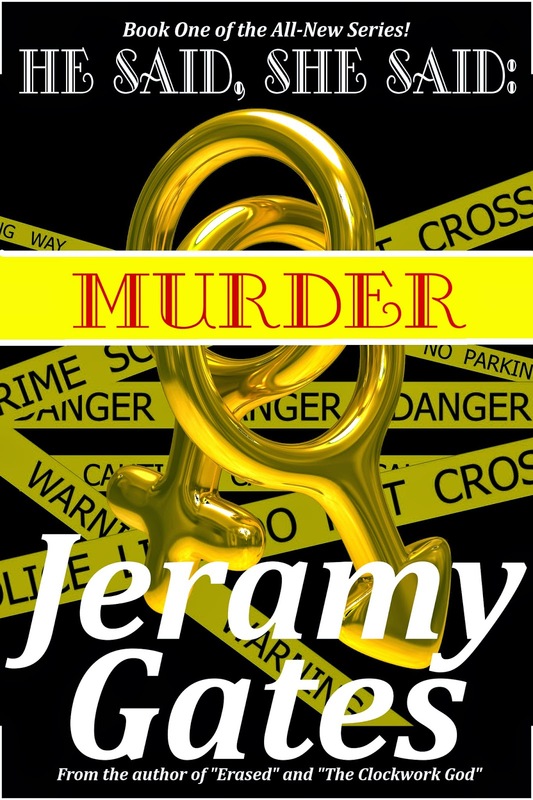 He said, She said "Murder" is the first book in a new detective series. I have written three books so far (actually finishing up #3 right now) but I don't know how many of them I will publish this year. I'd like to get the first three out, at least. Being a husband and father of three, my production schedule is subject to wild fluctuations throughout the year, so we'll see how it goes. Moving on. By the end of February, I will also publish the sequel to "The Clockwork God." Book 2 in the Iron Horse steampunk series is titled "Killing the Machine." 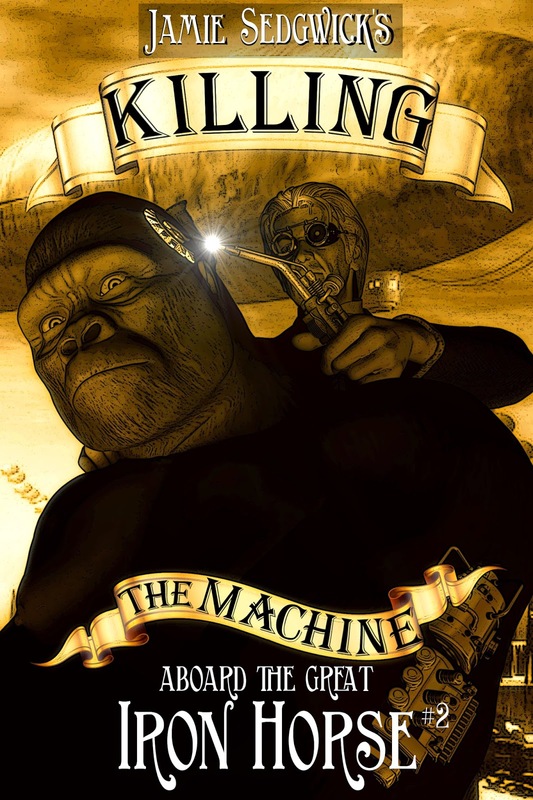 Killing the Machine was a lot of fun to write, and I think it's a great follow-up adventure to Clockwork. I can't wait to see what the rest of you think!